The 2014 Audi A4/S4 line remains a leader in the entry-luxury class of sports sedans. Inside and out, it's beautifully styled and exquisitely executed in the details, it offers an exceptional driving experience and brings space efficiency, comfort, refinement and performance, all within a range of prices that, if not exactly inexpensive, are certainly reasonable. 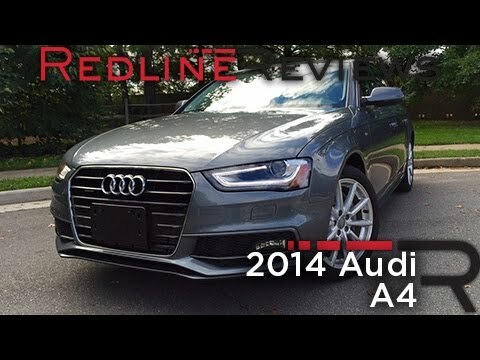 We have never had any major issues with our 2014 Audi a4. The only type of issue there has been on our Audi has been a couple of minor recalls but they have always been resolved. The performance, reliability, and features are absolutely exceptional. Comfort of the driver's seat and passenger seat is wonderful. The comfort of the backseats is okay but not the best. Great car, if you can dump a lot of money into it. It has amazing performance, comfort, style, tech, it is fast! But fixing it is a real pain! Ever since we have hit 70, 000 it is breaking down and it is a beast to go and fix it. We also do not have an Audi dealership closer than 2 hours from my house so even just taking it in for an annual is hard. Looks are good smooth drive.